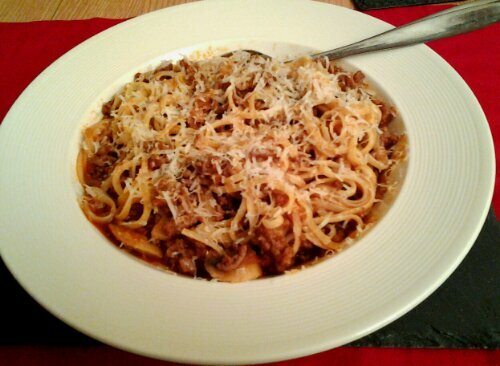 Spaghetti bolognese is one of those dishes that everyone does slightly differently. 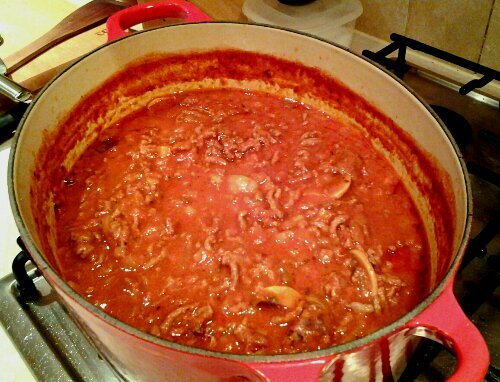 My dad’s bolognese sauce always tasted different to everyone else’s when I was a child, and nothing came close in terms of how lovely it was. [EDIT: I’ve been informed that my dad’s bolognese sauce was originally my mum’s bolognese sauce, she made it first, then he carried it on.] It was one of the first dishes that I asked him to show me how to cook when I began to take an interest in food, and then when I was at university, he painstakingly typed out the recipe on MSN Messenger. I copied and pasted it into a Word document, printed it out and still use that sauce-splattered conversation/recipe today. 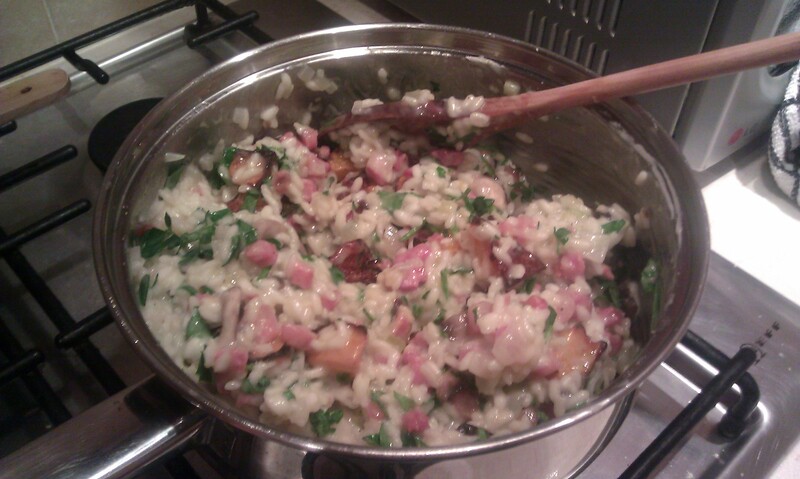 It has since become one of my staple dishes, or perhaps even my signature dish. 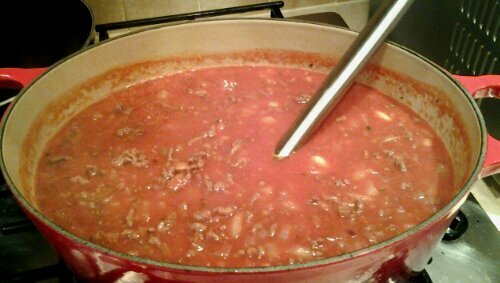 I once invited a friend over for spag bol because I had made enough sauce to feed an army the previous day, and he said that he was surprised by how delicious it was – he had just been expecting mince in tomatoes. The secret with this dish is the cooking time – the longer you leave it to simmer, the better it will taste. And it always tastes better on the second day, when the flavours have had time to develop, so I now make this a day in advance and eat it on day 2 (and day 3 as well, if I don’t freeze the rest). Pour the vegetable oil into a frying pan over a very high heat, and once the oil is practically smoking, add the mince in one layer. Seal the mince on all sides, then once it’s quite brown all over, break it up with a spatula, and continue to cook until there are no more juices in the pan. Tip it into a large casserole dish, and stir in 2-3 tbsp flour, then add the stock. Add the olive oil to the frying pan, and turn the heat right down. 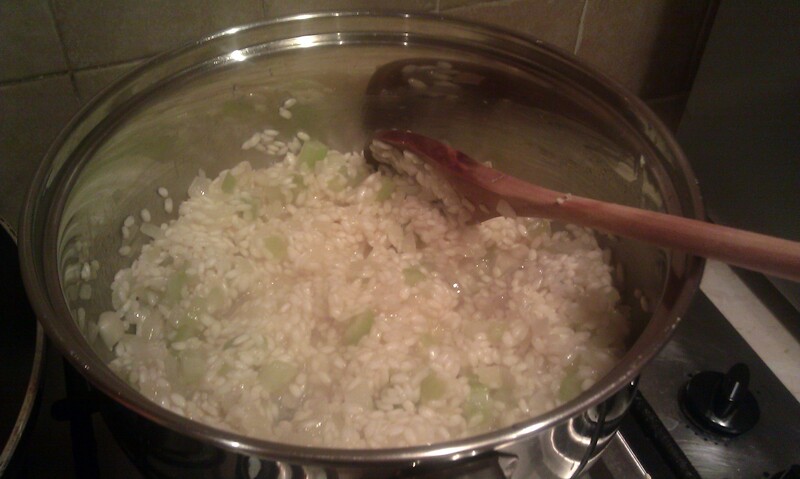 Add the onions, and sweat with a lid on for a few minutes, until the onions are soft without being brown. Add the onions to the casserole dish, then deglaze the frying pan with a glass of red wine. Pour that into the casserole dish too, and then add the sugocasa or passata, along with the garlic, parsley, herbs and mushrooms. Season well, bring to the boil and leave it to simmer for at least an hour. Taste it every 20 minutes so you can adjust the taste accordingly with more herbs, salt or pepper. When the sauce has been simmering away for an hour or so and you’re happy with the way it tastes, bring a large pan of water to the boil, salt it generously and cook the linguine according to the instructions on the packet. 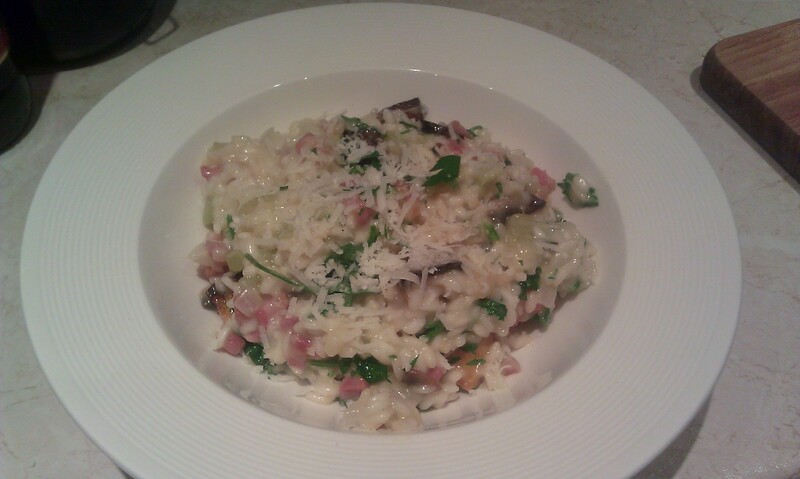 Drain and serve with a couple of ladlefuls of sauce and plenty of grated parmesan. Buon appetito!